The best things to do away from the track for F1 fans going to the Japanese Grand Prix at Suzuka, near Nagoya. The next race is on October 10-13, 2019. There is nothing noteworthy to see or do in the industrial areas surrounding the Suzuka circuit. It’s better to stay in nearby Nagoya or a little further away in Osaka, where there is much more going on. When planning your Japanese Grand Prix holiday, try and add at least a few days away from the track to explore the country; Japan offers a fascinating blend of natural beauty, ancient traditions and history contrasted with high-tech modern cities and a unique culture. Most travel guides do not give Nagoya the attention it deserves. As the fourth most populated city in Japan, there are plenty of things to see and do in the city. Situated 65km from the Suzuka circuit, it’s the perfect base for your Grand Prix weekend. For more travel info on Nagoya, check Japan Guide and Nagoya Info. 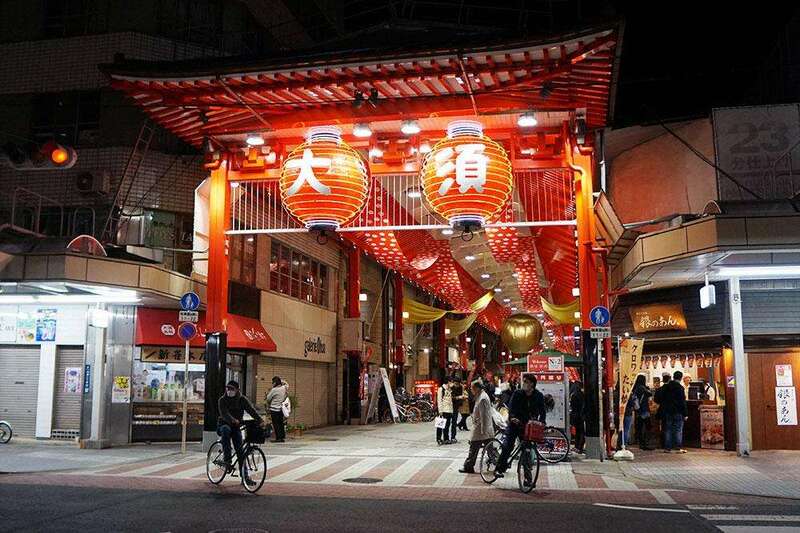 If you are planning to do some shopping while in Japan, the 400-year old Osu Shopping District in Nagoya (pictured above) is a great starting point. With more than 1,200 shops in the area and prices cheaper than Tokyo and Osaka, it’s a great place to spend a few hours, or even the whole day. The easiest way to get there is to take the Nagoya subway and alight at the Osu Kannon Station; you will pass the Nagoya Osu Kannon Temple to get to the shopping area. Within the walls of Nagoya Castle lies a fantastic museum that displays armor from the Edo period, fusama-e (painting on sliding doors) and other creative works. It’s open from 09:00-17:00 and entry costs around US$5. You can also visit the Ninomaru Garden nearby. To get there by train, alight at the Shiyakusho Station on the Meijo Line or the Sengen-cho Station on the Tsurumai Line. By bus, alight at the Nagoyajo Seimon-Mae stop. The Aichi Prefecture is known for its unagi (freshwater eel), so it’s no wonder that Nagoya’s traditional meal – known as hitsumubushi – is a bowl of rice with slices of grilled eel. Some of the best hitsumubushi can be found at Atsuta Horaiken – it is about a 7-minute walk away from the Tenma-Cho Station on the Meijo Line. Expect to pay around $10-15 USD for a serving. Take an elevator to the 39th Floor of the Umeda Sky Building to enjoy a panoramic birds-eye view of Osaka city. Suspended 167 meters from the ground, a floating garden observatory lies between the two towers of the Sky Building. It is open during the day, but many opt to enjoy the night-time view of the city. There’s a small fee of approximately US$6 to enter the floating garden. Pay a visit to the majestic whale sharks at Osaka Aquarium Kaiyukan, one of the world’s largest public aquariums. Situated in Tempozan Harbor Village, it is one of the more popular attractions in Osaka, up there with Universal Studios Japan. Allocate around two hours to walk about the aquarium, which was designed in a way that visitors can feel at home with the sea creatures. There is no place quite like Japan – you need to use all your senses to truly experience the country. From the neon night scape of its cities to the serene sanctuary of its shrines and gardens, many travelers are mesmerized by this incredible country. Here’s a few of our ideas for other things to do in Japan. Packed with neon-lit utopian structures, Tokyo is one of those cities that needs to be seen to be believed. It is a city that continually reinvents itself with outrageous concept cafes and the current pop culture craze, while preserving its shogun traditions such as sumo tournaments and Kabuki performances. For a more subdued holiday, head to Kyoto (pictured above) – a soothing cure to Japan’s bustling capital. It is lined with ancient temples and shrines, tea ceremony masters, traditional ryokan inns and centuries-old lineage of craftsmen. While it prides itself on preserving Japanese traditions, Kyoto is just as modern as Japan with a flourishing technology industry and many universities. For those who love the outdoors, head over to Hokkaido to enjoy the autumn leaves as you hike in the mountains. The orange, yellow and red tapestry provides for some amazing scenery. The best can be found in the Daisetsuzan and Shiretoko National Parks. Around 80km south-west of the Suzuka Circuit is the city of Toyota. Famed as the home of the namesake car manufacturer, the city is full of historical and architectural delights, as well as the Koran Valley; a definite must-see for the vibrant colours in the autumn months. If you’re interested in the Toyota company’s history, the Toyota Automobile Museum is a 25 minute drive from the centre of Nagoya. Have you visited Japan? Leave a comment with your travel recommendations! The Suzuka circuit has been home to the Japanese Grand Prix for all but two years since 1987. What you need to know before organizing your trip to the Japanese Grand Prix. The next race at Suzuka takes place on October 10-13, 2019. 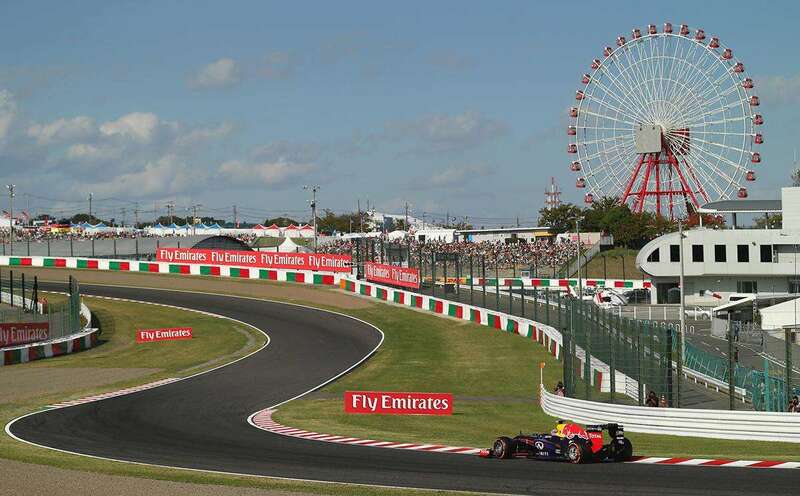 The best places to stay in Nagoya and Osaka for fans on all budgets attending the Japanese Grand Prix at the Suzuka Circuit. 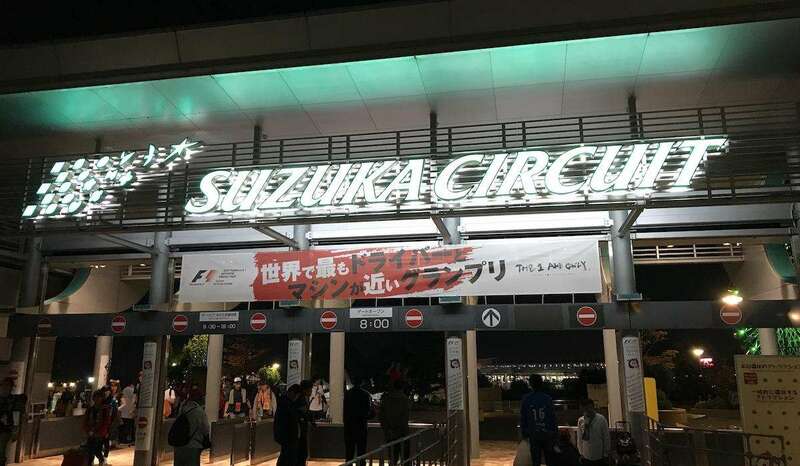 Your trackside guide to the Suzuka circuit, home of the Japanese Formula 1 Grand Prix. Read our budget planner to help plan the cost of your F1 holiday to Suzuka for the Japanese Grand Prix. This year’s race is on October 5-7, 2018. Here’s the best ways to get to Japan and the Suzuka circuit for the Japanese Grand Prix. Hi, can you purchase race day only tickets for Suzuka?